Tazewell County Public Library is proud to announce the Week of Stories from Thursday, April 25, 2019 to Friday, May 3rd at the Tazewell Main Library. Our four scheduled programs include a Poetry Reading (Open Mic), a Local Author Event, a Memoir Writing Workshop, and a Storytelling Program for Adults. April is National Poetry Month so join us on Thursday, April 25 at 7pm for an Open Mic Poetry Reading. Read a poem (yours or your favorite), sing a song, or tell a story. You do not need to read anything to join us for the night. Join us on Saturday, April 27 from 9am – 1pm for a Local Author Event at the Tazewell Library. 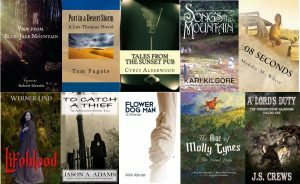 Meet and purchase books from local Southwest Virginian and Southern West Virginian authors at this event. We will have a total of eleven authors attending the event: Robert Merritt, Tom Fugate, Cyrus Alderwood, Kari Kilgore, Maddie White, Werner Lind, Jason A. Adams, Kirk Abner, J.S. Crews, Mary Alice Barksdale, and Donna Fogelsong. 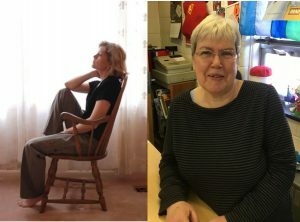 On Tuesday, April 30 at 6pm, Instructor of English at Bluefield College, Crystal Kieloch, will lead a Memoir Writing Workshop. We each have personal stories with universal meanings – learn how to start, and how to develop what you want to say even if you don’t know what it is yet. In this workshop, participants will receive the tools to help develop their own personal stories. 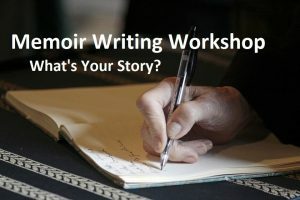 Learn story structure, and writing techniques that will move you toward a solid memoir. No previous writing experience required. Join us at the Tazewell Library on Friday, May 3 at 1pm for a storytelling event for adults. Storytellers Rema Keen and Deb Linkous will perform engaging stories that will make you smile, laugh, and think. Rema Keen has performed in a number of regional and national theaters including The Barter Theatre in historic Abingdon, Virginia. Deb Linkous has told her stories at Crab Orchard Museum and many local libraries. For additional details about scheduled programs, check out our website at tcplweb.org or call (276) 988-2541. The address of the Tazewell Main Library is 129 Main Street, Tazewell, VA 24651.